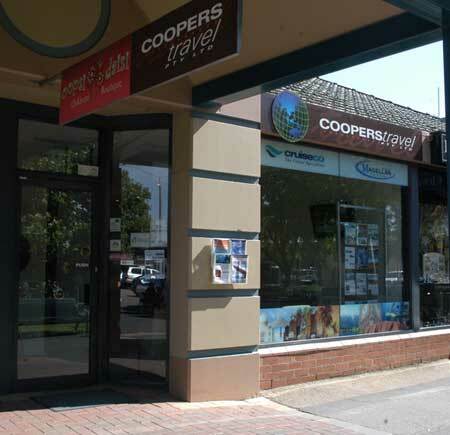 COOPERS TRAVEL PTY LTD was established in Bairnsdale in 1984 and is independently owned and operated by Bill & Lynne Cooper who, with 30 years experience in retail travel, understand the needs and budgets of the Gippsland community. Coopers Travel has become a widely respected agency throughout Country Australia with both service providers and its clients. Bill & Lynne pride themselves in the numerous travel awards won by the agency, but more importantly, the service and sponsorship they have been able to provide to the Gippsland community over many years. COOPERS TRAVEL PTY LTD are committed to giving independent advice, without bias to any particular airline or service provider. This, together with good old fashioned service, leaves you with complete peace of mind when planning your travel arrangements. Our consultants, with over 100 years of combined experience, realize the importance of spending time with you in order to fully understand your individual requirements.